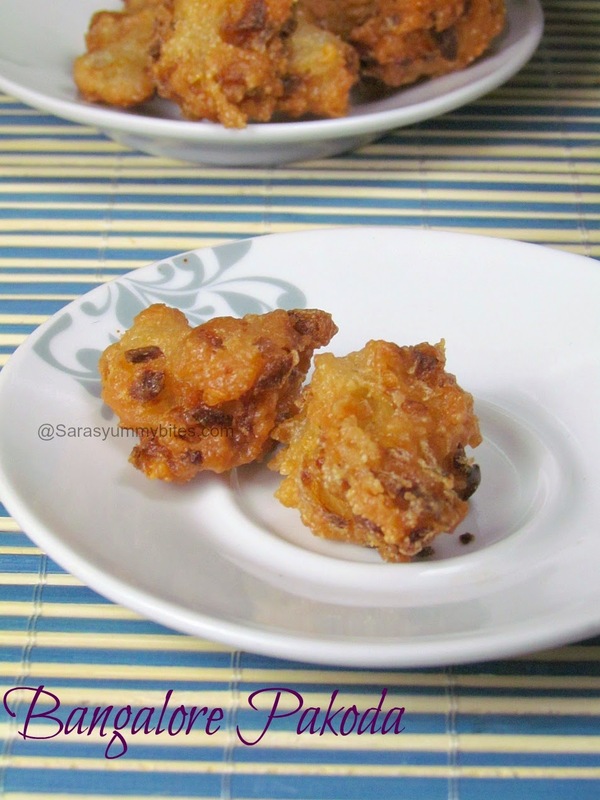 This crispy pakoda is very quick to make and retain it crispness for more than 2 ~ 3 hours. 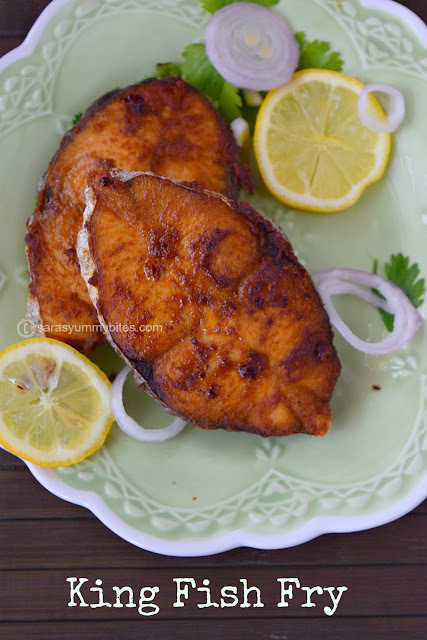 I have tasted this recipe in my friends home who is from Bangalore and she said this dish is quite popular there. 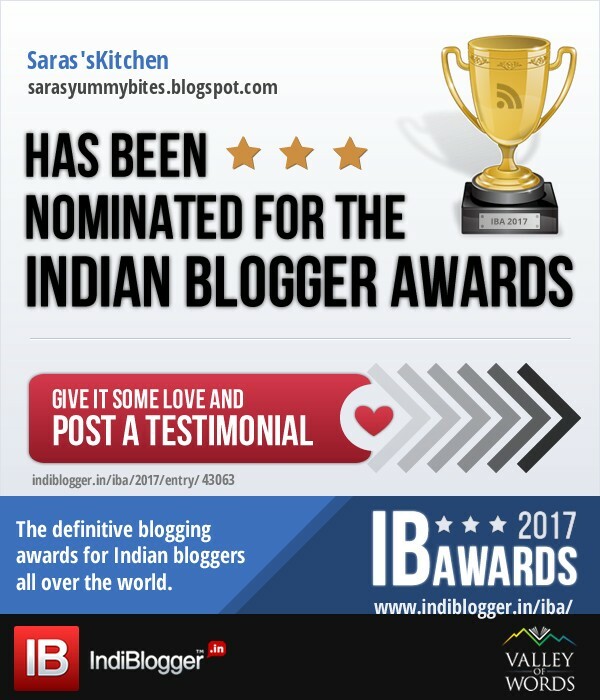 When I was searching for Karnataka recipes, I came across this recipe from here and though to share this with you all. Hope you all like to taste different pokada recipe with out besan flour..Before going into the recipe, Short information about Karnataka. Karnataka is the eighth biggest state in India. The capital of Karnataka is Bangalore or Bengaluru which is dubbed as the information technology capital of India. The state forms a part of the Deccan Plateau. It shares its borders with the Arabian Sea in the west, Maharashtra in the north, Kerala in the southwest, Goa in the northwest, Tamil Nadu to the southeast and Andhra Pradesh to the east. 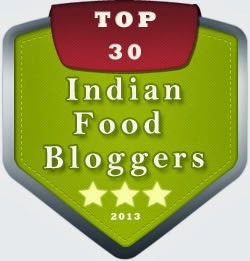 The cuisine of Karnataka includes many vegetarian and non-vegetarian cuisines. The varieties reflect influences from and to the food habits of many regions and communities from the three neighbouring South Indian states, as well as the state of Maharashtra to its north. 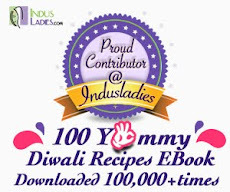 Some typical dishes include Bisi bele bath, Jolada rotti, Chapati, Ragi rotti, Akki rotti, Saaru, Idli-vada Sambar, Vangi Bath, Khara Bath, Kesari Bath, Davanagere Benne Dosa, Ragi mudde, and Uppittu. The famous Masala Dosa traces its origin to Udupi cuisine. 1. In a mixing bowl, Throw in chopped onions, green chillies, cilantro and curry leaves. rub the veggies with your palms to coat the oil thoroughly. 3. Throw in rest of the ingredients except oil. Mix everything together and add little water and make it into thick batter. 4. Heat oil in a pan, take small portion of the batter and drop it in hot oil. 5.Deep fry them until they turn golden brown color. Remove and transfer it to paper towel to drain excess oil. Serve hot with cup of tea. 2. Add 1 tbsp boiling hot oil to them. Mix and rub the veggies with your palms to coat the oil thoroughly. 3. Throw in rest of the ingredients except oil. Mix everything together and add little water and make it into thick batter. .
5. Deep fry them until they turn golden brown color. Remove and transfer it to paper towel to drain excess oil. Serve hot with cup of tea. 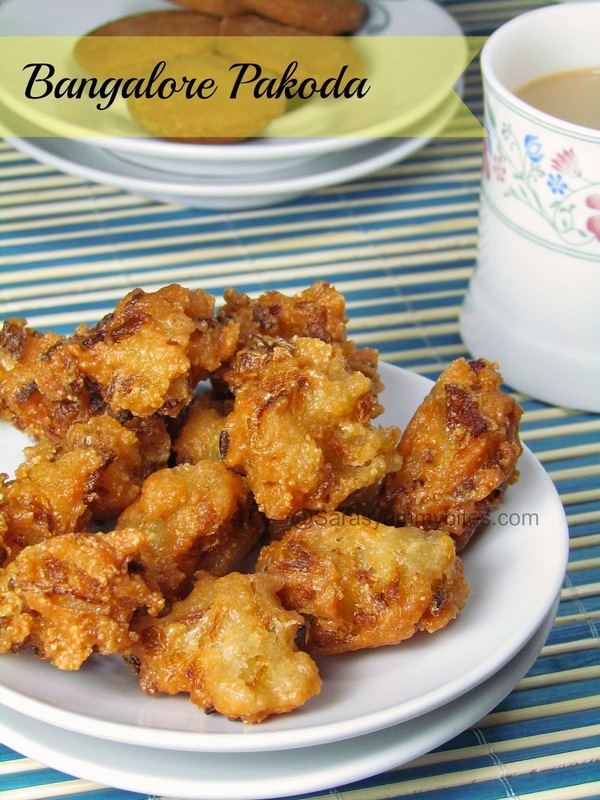 This is a unique combination of flours..crunchy and mouthwatering pakoras are new to me and I am book marking them. 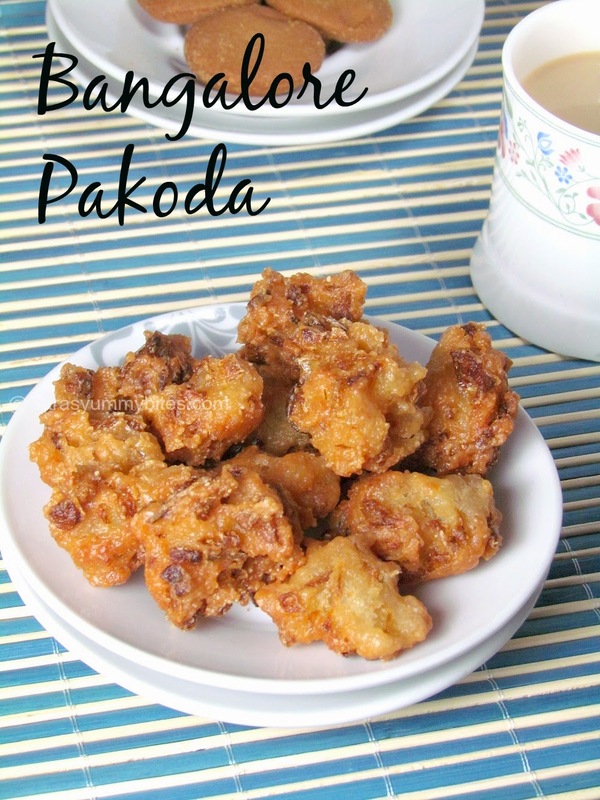 Fantastic pakodas, i can munch some rite now..;Very addictive they are. looks super tempting n delicious..
oh I can have it anytime.. perfect with chai!!! Very tempting and addictive pakodas,looks fabulous..
Almot the same thing, again. Love these cuties. Such lovely texture Saras..very nicely done..
Those pakodas look crispy and super addictive. Deliciously made crunchy bhajis perfect for a anytime snack. I lived in Bangalore most of my life but have never heard about these pakodas. :) They look quite crunchy and the ingredients used remind me of Madduru vade. I am sure they must have tasted awesome.